The Valknut is the symbol of Odin, the mighty god who treats those who died a noble death to an eternity of feasting in Valhalla. 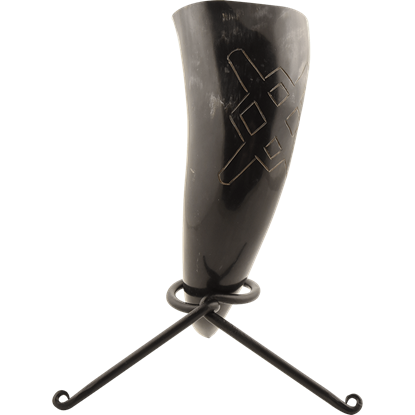 What better way to honor him than by drinking from the Valhalla Valknut Drinking Horn with Stand? 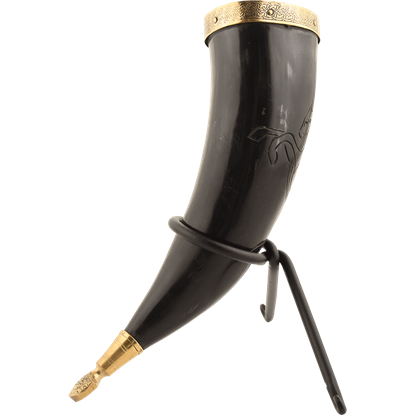 This fully functional drinking horn is crafted from a natural bull horn, making it look and feel just like an authentic piece of medieval feastware. 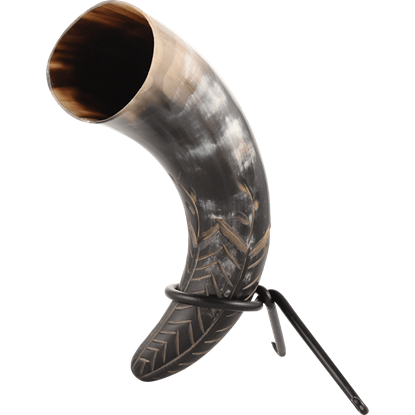 This natural Viking horn is engraved with a Valknut symbol, paying homage to the All-Father. A metal stand is included for easy display when not in use. 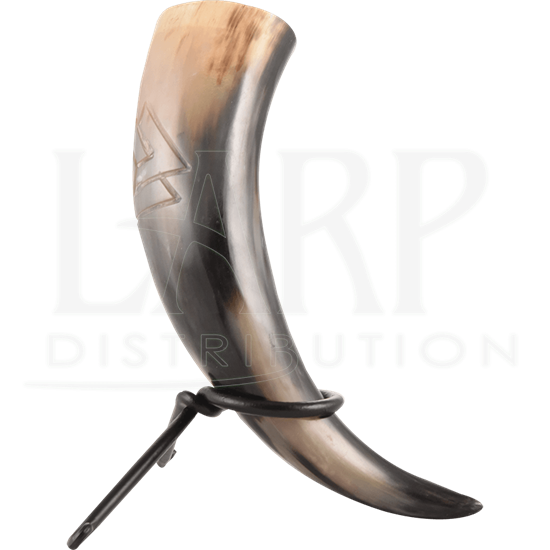 The Valhalla Valknut Drinking Horn with Stand serves as a fantastic accessory for any Viking feast or medieval dinner. 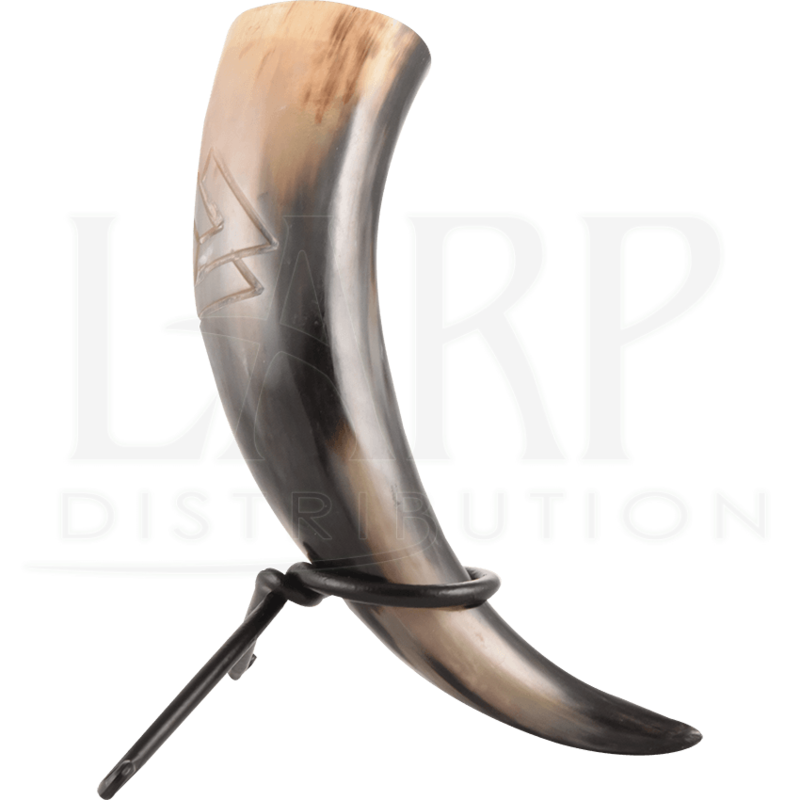 When you feast in the hallowed halls of Valhalla, it is important to make a toast to honor the god that put you there. 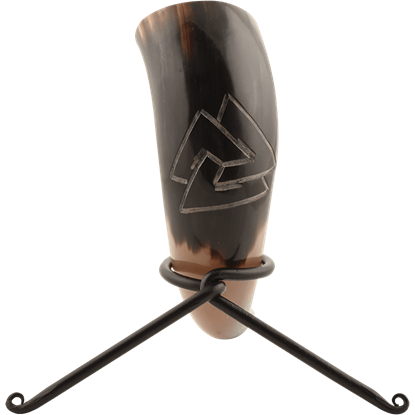 Luckily, you have the Valknut Drinking Horn with Stand, its form displaying the symbol of Odin himself.